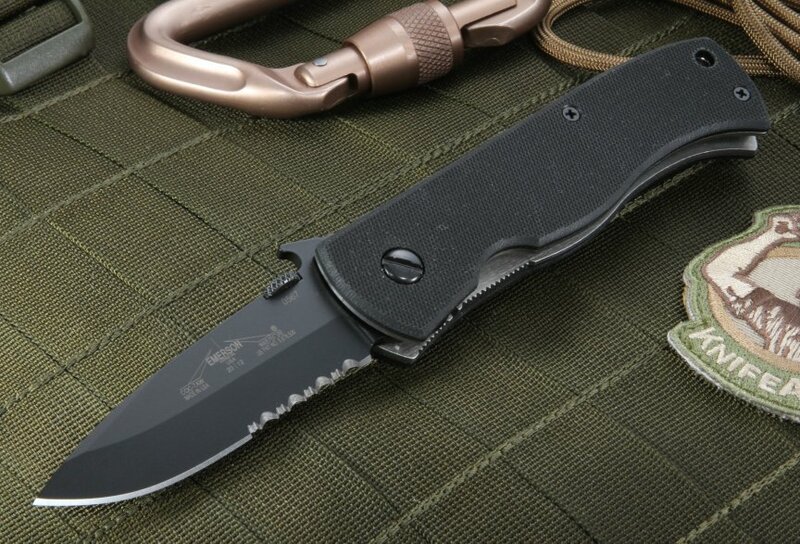 Ernest Emerson began producing hand-crafted American made knives in 1979, since then Emerson knives have remained the standard in the industry and a first stop for knife enthusiasts. KnifeArt focuses on the highest-quality selection of products from elite brands hand selecting its inventory as an authorized Emerson knives dealer. 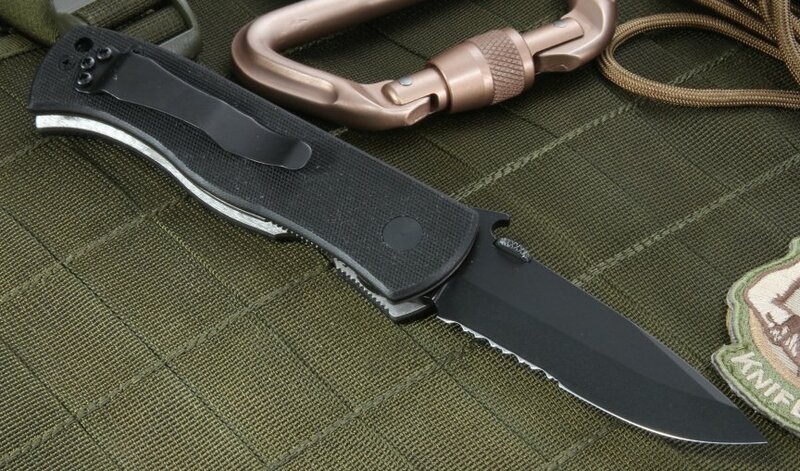 The Emerson CQC7 BTS - Black Serrated Blade measures 3.3 inches in length, 8 inches overall, and is fabricated with 154 CM steel and carries a hardness rating of 57-59 RC. Made to last, this spear point tanto blade has a flat double V-shaped grind and has 50-50 serrations along the blade giving the knife enhanced cutting capabilities. 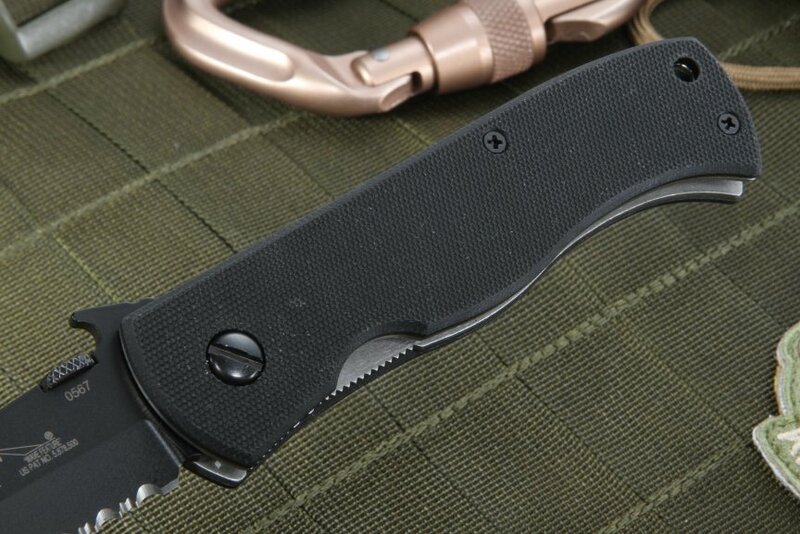 This particular model is known for its multiple manual opening types and makes it perfect for everyday carry. First, the patented wave feature that allows for one-handed opening directly from the pocket. 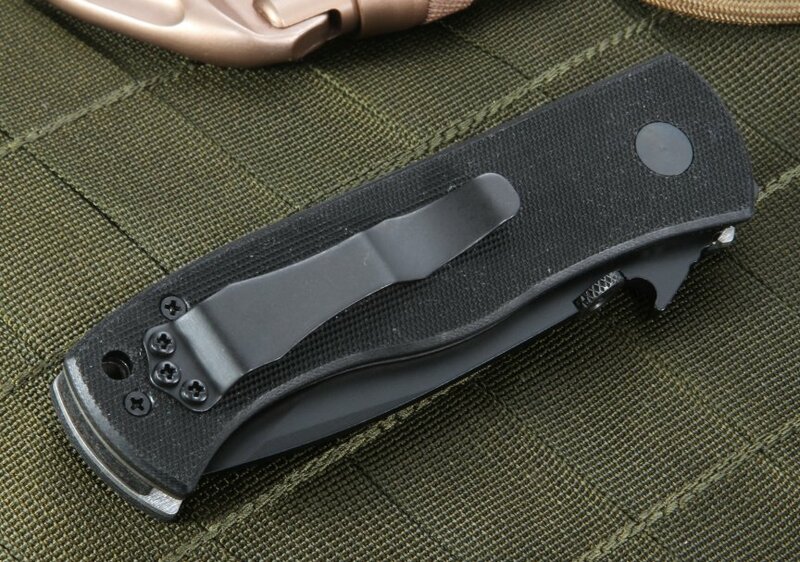 The knife can also be opened with the thumb disk located at the base of the handle so it is easy to open in any situation. 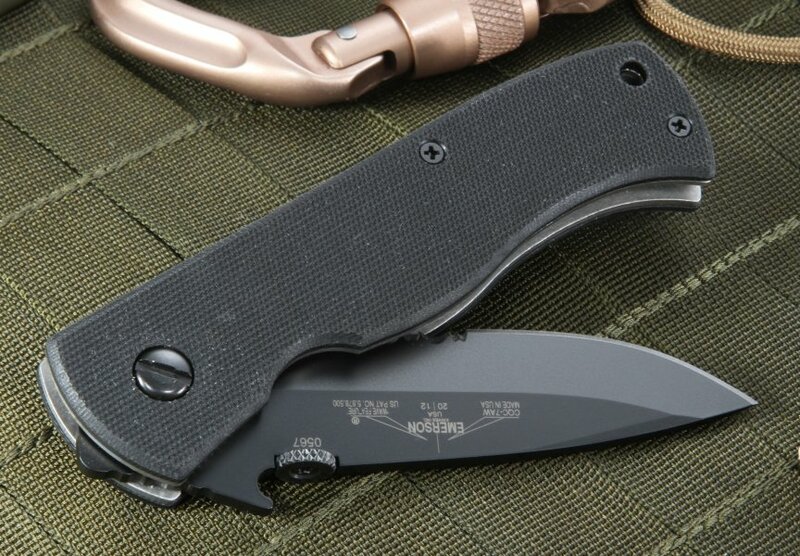 The G-10 handle of the Emerson CQC7 is reinforced with a titanium liner lock frame. This makes the knife frame and handle sturdy as well as durable lasting a lifetime. The handle measures 4.65 inches with the overall weight of the knife 5.2 oz. 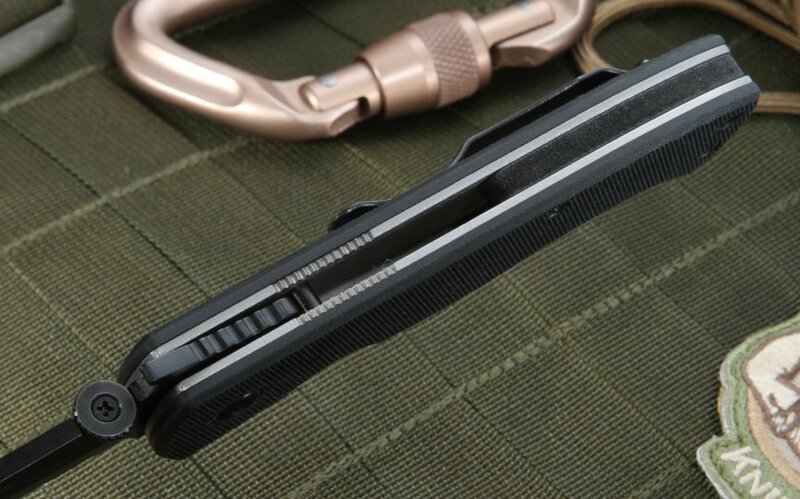 The tip-up pocket carry handle keeps the knife within reach at all times. 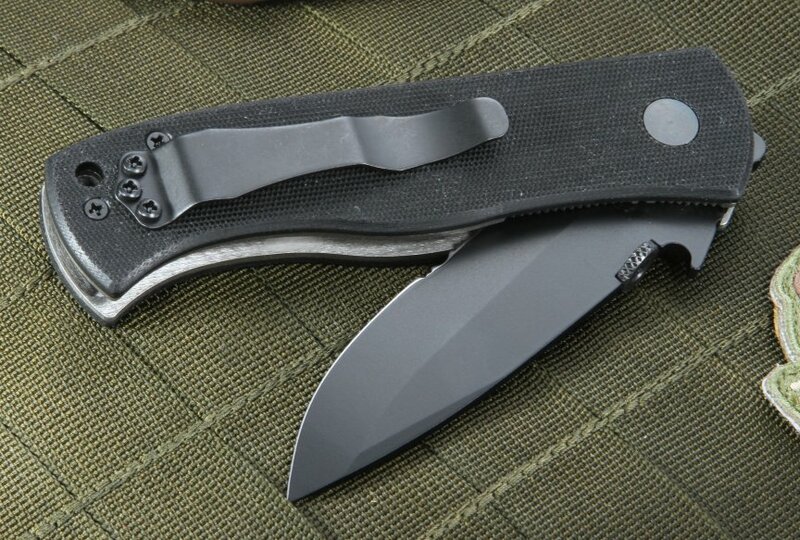 This all-around tactical quality knife sets the standard for folding knives. At KnifeArt once your transaction has been processed the order will be shipped that day free of charge on orders over $150 or more. KnifeArt has the widest selection of the highest quality knives from the world's top toolmakers. KnifeArt's dedication to its customers is equal to the makers they carry and the knife enthusiasts who demand only the best.